Do I have your attention? Good, because we have a fantastic product that will get your blood moving, so to speak. Not only is GPS Circulate favored among athletes as a pre-workout supplement to support muscle health,* but this product also helps improve sexual function. Arginine is an amino acid that works by increasing nitric oxide levels in the body. This helps to improve the elasticity of our arteries, thus facilitating blood flow. As we know, blood flow to the reproductive organs results in greater arousal, improved responsiveness and greater satisfaction. 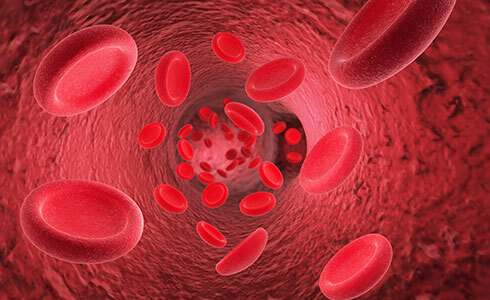 Increased blood flow is critical in both sexes for the physiology of reproductive processes. Engorgement of the reproductive organs with blood is a necessary step for virtually every aspect of sexual activity. The effects of GPS Circulate may increase over continued use, but it’s important to note that consumption of excessive amounts of arginine can cause diarrhea. It’s always a good practice not to exceed the recommended usage. GPS circulate should be taken on an empty stomach 30 minutes preferably before exercise or, in this case, before bedtime. Be sure to tune in this Wednesday, June 20, to listen to the PURE Product Spotlight podcast on GPS Circulate. Rich Scheckenbach, nutritional biochemist and member of the PURE Wellness Advisory Board, will share the science behind this fantastic product. *While supplies last. Not eligible for Autoship. Regular PV applies.